Neil Patrick Harris goes all Miley Cyrus on a bottle of Neuro Sleep in this goofy music video for the brand's "Sleep With Neuro" campaign. 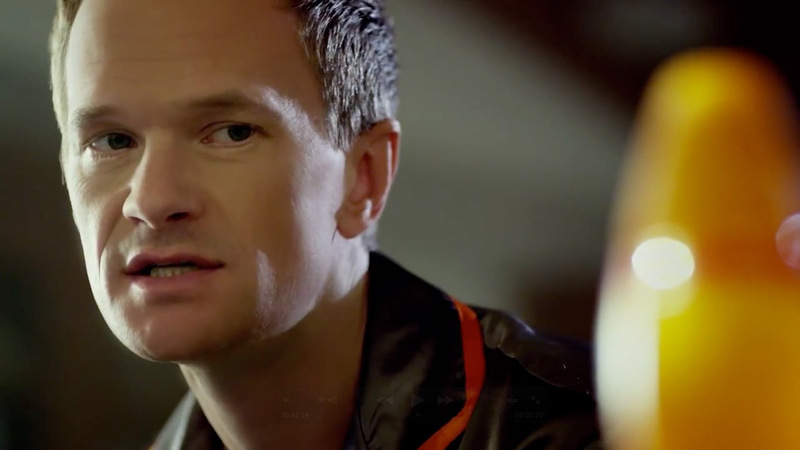 The video was directed by Jon Jon Augustavo, who also did Macklemore's "Thrift Shop" video, and has NPH in full Barney Stinson mode, silk pajamas and everything. I guess that nightshirt phase he went through didn't last. There's a fair amount of corny R&B video tropes to be found here, both in the visuals and Neil's delivery, which is top notch as always. That's the nice thing about him—you never feel like he's phoning it in, no matter what ridiculous or beneath-his-talent thing he's doing. NPH's appearance in the video came from a Neuro customer survey that asked people who they would like to have a slumber party with—35 percent of the responses went with Neil. It also didn't hurt that he and Neuro Sleep founder Diana Jenkins are friends. Plus, How I Met Your Mother is finally finishing up, so he needs to keep the wolves off his doorstep somehow.